Here are a few options to pack your firearms in if it all hits the fan…. There is a big debate about what a bug out bag should contain and what would be the best survival gear one can carry. We can find all sorts of recipes for food preparation and storage, and a lot of weapons guides. But what if you need to leave your home in case of crisis? What if you live in an urban area and your only chance of survival is to get out when SHTF. Everything can happen from flooding, urban unrest to viral pandemic or nuclear fallout. What then? It’s obvious that you cannot carry too many supplies or everything that you need in your bug out bag. Not to mention that most of us are not fit and are not used to an intense physical journey. In order to survive, you have to leave your home, regardless how well you’ve fortified it, movement is life. You need to have a plan B and that can mean only one thing: you need to get yourself a bug out vehicle. 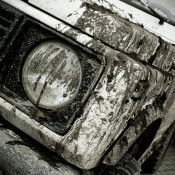 In this article, I will present some of the choices you have when choosing a land bug out vehicle, but also the good and bad parts of each vehicle. Most of the families already have a sport utility vehicle and this makes it a good choice for a survival vehicle. The type of SUVs you find on today’s market provides you with a good range on a full tank of gas. There are even some which are hybrid and this means you get more miles for your buck. Not to mention that the SUV is designed to be an all-terrain vehicle, so you won’t have any problems when the road runs out and you will be able to cross any type of terrain you encounter. You can equip your SUV with a set of tires designed for all types of terrain and low fuel consumption. 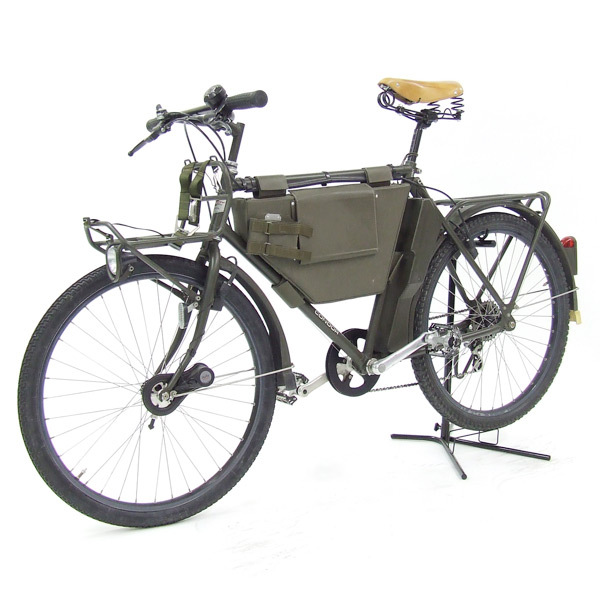 Also, you can put a roof rack to increase the storage capacity and use its towing ability to carry even more supplies or why not an alternative mean of transportation (motorbikes, bikes, boats, etc.). The good: it has a good seating capacity for five or more (good if you have a large family), it’s an everyday vehicle and can be used as a bug out vehicle in case of an emergency, it has a good carrying capacity (you can carry additional gas) and range, you’re not exposed to direct attacks, with a decent setup it can become a good off-road vehicle. 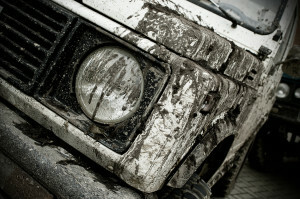 The bad: not a very fuel efficient bug out vehicle (you will eventually run out of gas), cannot handle extreme terrain or weather (setup can be costly), in case of a road blockage you cannot slip out between the other vehicles and you will get stuck. There are many motorcycles on the market built for extreme terrain and are used by adventurous people who don’t mind the rough traveling conditions. 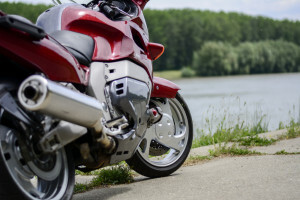 Most of these bikes can go for more than 400 miles with just a 8 gallon fuel tank and this is why is a bug out vehicle preferred by many. They are equipped with powerful engines and can take you anywhere you want, carrying a decent amount of supplies. There are many storage options available for these types of bikes, from large top cases to reinforced side bags and there are people living with only what their bike can carry. Usually the love for this type of transportation runs in the family, so you will have his and hers available for doubling the storage capacity. The good: it’s a good day to day vehicle, it has a good off road capability, it’s fuel efficient, it has a decent amount of storage space (almost doubles if used by a single person), you will not get stuck in traffic and you can overcome any obstacle. The bad: limited carrying capacity for both people and supplies, you’re exposed to the elements, you can’t carry as much as you would with a four wheel vehicle, still runs on fuel and you will eventually run out of it, you’re exposed to attacks. Yes, your mountain bike can become a good bug out vehicle, especially since it doesn’t require any fuel. It is considered by some the ultimate survival vehicle due to its features, which include the following: strong built and light weight, rack systems for storage, all-terrain specially designed tires with self-sealing proprieties and increased resistance to puncture. This bug out vehicle can be equipped with various systems to generate electricity. Not to mention that this vehicle can be used in combination with any other bug out vehicle as a plan B. You can carry a good amount of supplies and a rifle for protection and you can go anywhere regardless the condition of the road or the terrain. The good: It will go anywhere, no need for fuel, it’s a silent bug out vehicle, it can cover long distances depending on the terrain and rider’s capabilities, it can become a secondary bug out vehicle in conjunction with your first choice (SUV, Jeep, ATV, etc.). 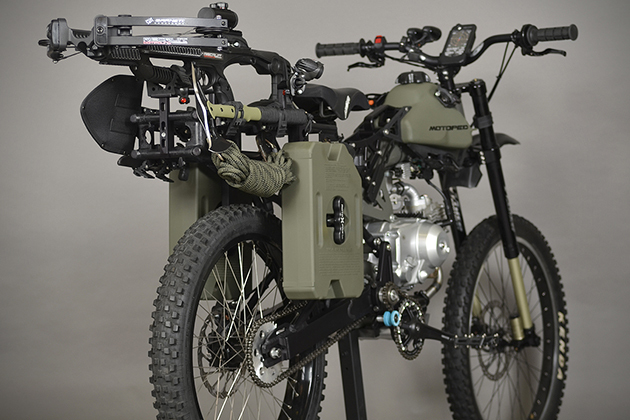 The bad: it has a limited carrying capacity, is designed for one person, you are exposed to the elements and direct attacks, difficult to maneuver through snow and rocky terrain, limited range bug out vehicle if the rider is not fit. This is one of my favorites and I consider it to be the ultimate survival bug out vehicle. It has the same versatility as the mountain bike, but it’s slightly bigger and a lot better due to its attached engine. You don’t have to worry when fuel runs out as you can always put your faith in pedal power. It can be used as an everyday vehicle since it’s very fuel efficient and not to mention, it looks cool! These awesome vehicles are designed for all types of terrain and they come with various options to carry supplies and additional fuel (you can cover up to 400 miles). They have tires designed for rough terrain with self-sealing proprieties and you can carry your favorite weapon, for hunting and protection. 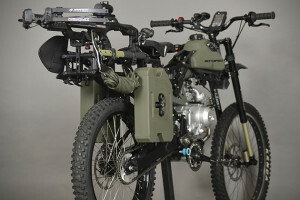 Similar to the mountain bikes they can be used as an alternative bug-out vehicle, a plan B for when things get rough. There are even companies that started building these vehicles precisely for survival purposes. The good: very fuel efficient bug out vehicle (even if you run out of fuel, you can still travel further using the pedals), it can be equipped with a variety of mounts, harnesses and fitments to carry supplies, very good off road capability, really cheap compared to other motorized bug-out vehicles, can be used in conjunction with other survival vehicles. The bad: bug out vehicle designed for one person, limited storage capacity compared to a 4 wheeler, you are exposed to the elements and direct attacks.